Why a career at Zeon Chemicals? ZEON employees contribute through time and donations to more than 13 charities annually including such charities as Hosparus, the Humane Society, the March of Dimes, and the American Heart Association. We’re proud of the commitment our employees make to bettering the world and their communities. Employees participate in walks such as the annual Kentuckiana Heart Walk. 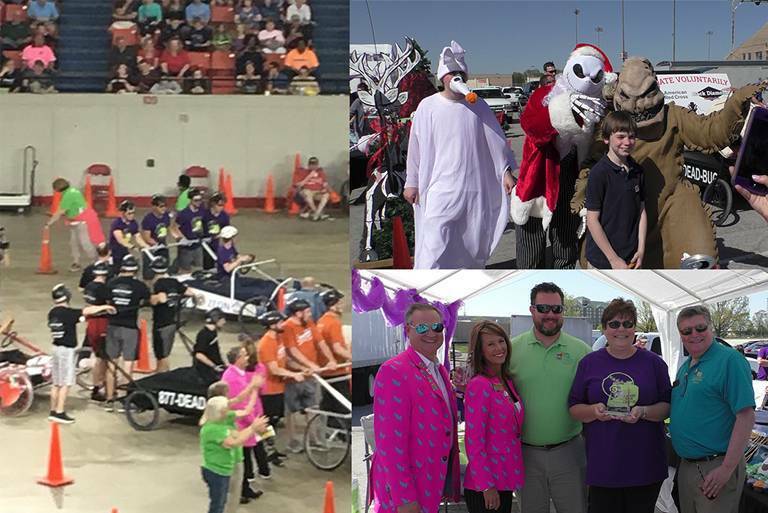 Employees may compete in fundraising events such as pumpkin carving contests, Executive dunking booths, KY Derby Bed Races t-shirt design competitions, or “March Madness” events. Employees may also choose to participate in the annual Santa contest and help hand out gifts at Christmas to the children at local elementary schools. Employees may attend annual company sponsored picnics and fun events at such venues as Churchill Downs, the Louisville Zoo, and the Kentucky Science Center. ZEON offers comprehensive, competitive benefits that focuses on both health and financial well-being.